Next week is Father’s Day. What is on your list of gifts for Dad? As a father and a bike rider, I thought I would share a short list of things that I would love to get for Father’s Day this year. I don’t expect to get all (or even any) of these gifts, but a man can dream. Maybe this list can help serve you as you do some final shopping this week. The first thing on my list is a new Road ID. The one I have is out of date and the address/phone numbers are no longer valid. I was glad to use the one I had for 2 years, but since then I have moved around in 3 different countries. In the next couple of months I am going to be getting a semi-permanent home base. I look forward to having phone numbers that I can put on my new Road ID. The idea of the Road ID is that it gives first responders the immediate information they need to identify you and contact your family for further information. There are several styles, colors and features available on the Road ID products. The one I am interested in is the Wrist ID Sport (which is the same as my current one). I will probably get the Original version instead of the Interactive. As a healthy person with no special medical conditions, I would rather have multiple contact phone numbers on my ID as opposed to using the space to tell paramedics to call a phone number just to find out there is nothing wrong with me (other than I got run over by a car 20 minutes ago). Ok, so this is a big one, but it is something I would really like to have some day. Though I have a GPS on my phone, and I always have my phone with me, it stinks as a sports GPS. When I get a phone call it kills the GPS functions. Using the GPS on the phone also drains the battery quicker. Though it has been fine on 2-hour runs before, I really doubt I can go for a 6 hour bike ride and still have the phone available in an emergency. 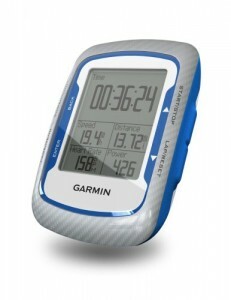 A dedicated GPS like the Garmin Edge 500 is what I would like. In place of a full-scale GPS, I would take a nice cycling computer. It would not have to be fancy, but there is one feature I really want on my next computer—a cadence counter. The old computer that I had did not have this feature. It is not that big of a deal for most of my regular riding, but for exercise and training I would like that feature. Mostly I am a bike commuter with hopes of someday doing some training for racing. The cadence counter would be a nice feature. Every dad would like more tools. A tool kit from Park Tool is a great start. There are a few specialty bike tools that I am missing like cassette and bottom bracket removal tools. Or even something as simple as a chain wear indicator would be a nice present. Jerseys, shorts, shoes and socks are all good gifts. In the southern hemisphere (where I am currently) some full-fingered gloves and a long-sleeved jersey would be a welcomed gift. In the northern hemisphere it is time to break out the shorts and short-sleeved jerseys. I already have a nice pair of Icebreaker cycling socks, but if you are looking for a great gift for your bike riding dad, then these are a good choice no matter which hemisphere you are in. Those are just some ideas of what I would like. Hopefully it helps you do some shopping as you get ready for Father’s Day, or any gift-giving day in which you can shower your dad with something special for his cycling habit. Dads: What would you put on your list?